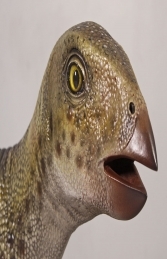 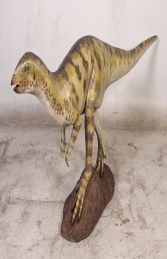 Hypsilophodonts, the small ornithopod dinosaurs, regarded as fast, herbivorous bipeds. This fantastic model made from fibre glass the Hypsilophodont is stunning for any Dinosaur or prehistoric themed areas. This amazing Hypsilophodont standing on a small base will make a huge impact and attract public attention in any themed Dinosaur area. It would be ideal to make the centre piece of a prehistoric or Jurassic display with our range of large dinosaur models. 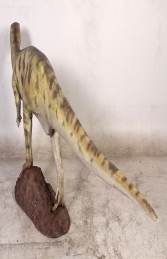 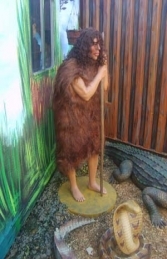 This model can be used in any dinosaur or prehistoric themed areas in zoos, theme-parks or if space allowed it would even look fabulous in your own garden or woodland.